There are so many gadgets, toys and manipulatives out there that seem to make math more hands-on and fun, but as a homeschool mom on a tight budget it might seem overwhelming and expensive! Are all those tools necessary? There are certainly uses for many different tools out there, but here are my top 5 necessary homeschool math manipulatives. You may think this list is small, or that surely you need more than this to adequately teach math, but I really believe you can do just fine with only a handful of tools. And most of these you probably already have on hand! In the early years, a large set of base ten blocks is essential. You can use them to build numbers so that kids can compare, add, subtract, learn place value and more. Pretty much anytime I need a visual for a math problem for my daughter, we pull out the base ten blocks to model it. As kids start learning to tell time, it’s incredibly helpful to have an actual clock that they can manipulate themselves. Not only can they use it to show the correct time, but you can practice counting the minutes one by one and moving the minute hand along. You may even be able to purchase a simple clock in the Target dollar section, at the dollar store, or make one yourself! 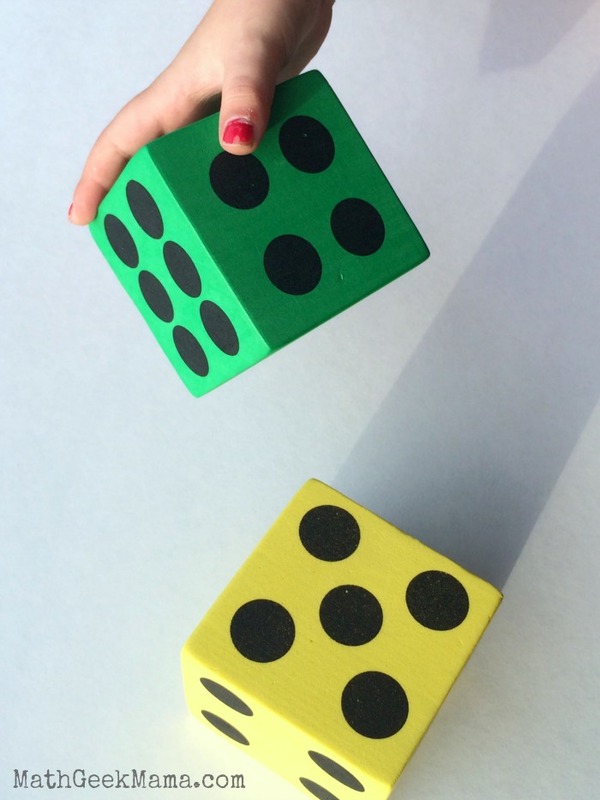 A set of dice is important because you can use them to play printable math games or to practice mental math skills. For example, roll the dice and add or multiply the numbers. Or roll two dice and write an inequality (i.e. 6 > 4). For practice with larger numbers, roll two dice and add them together, then roll again and add the numbers together, then multiply your two numbers (i.e. Rolling a 3 and 2 gives you 5, then rolling a 6 and 3 gives 9, so 5×9 = 45)! You likely already have some dice around the house in a board game somewhere, but these large foam dice are my favorite (it just seems to make math more fun!). 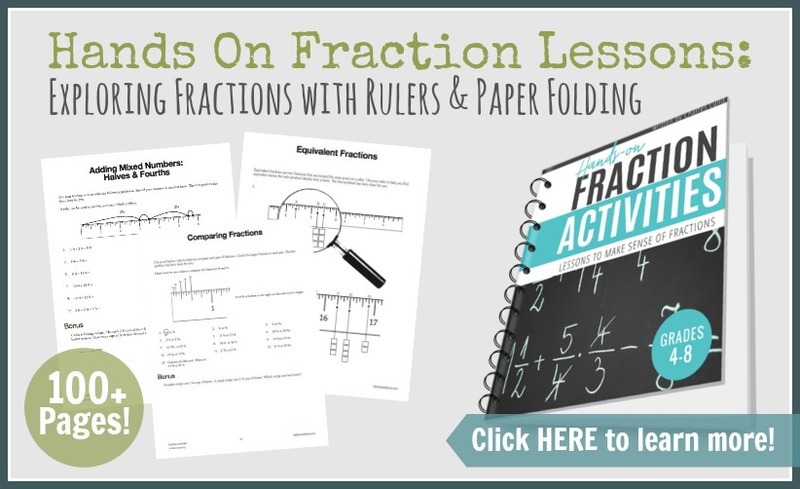 Fractions are such a tricky concept to master, and while you can certainly help kids visualize fractions by cutting up a sandwich or a cookie, I think this set of fraction tiles really helps kids make sense of fractions. You probably already have some cards sitting around the house as well, but did you know how valuable they are in math instruction? You can use them similarly to dice in choosing numbers to add or multiply, etc. or you can play fun math card games together! I love playing games with my kids that will help reinforce (or teach!) a math concept that they’re working on. Who wouldn’t prefer a game to a worksheet? So there you have it! 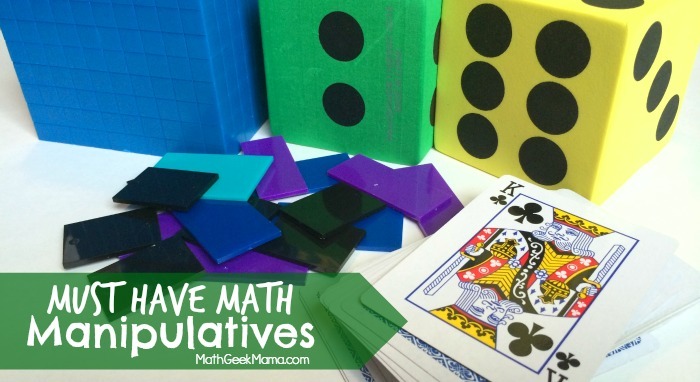 The only 5 math manipulatives you need to successfully teach your child math. I would add, however, that there are a couple more items that I could not homeschool without: a laminator and a good quality printer . There are SO many great and useful resources online, and it really helps to be able to print them out, laminate them and then use them over and over with all of my kids. I recently discovered HP instant ink, and I am LOVING it! For $4.99 a month I can print 100 pages. It doesn’t matter how much ink I use! 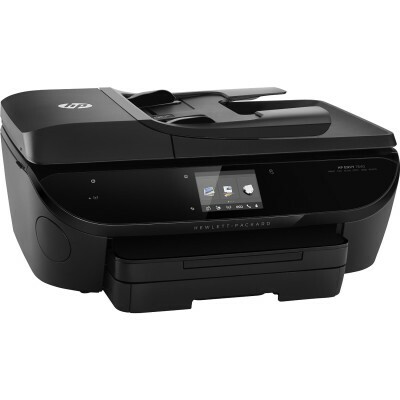 I use this HP printer (pictured above), and whenever I run out of ink, HP sends me more. I don’t have to order it or worry about how much ink I’m using, so I can print as many beautiful color pages as I want! I’ve written before of the many uses of a hundreds chart, so I do think this is essential for both young students and older students. A quick google search will turn up several printable versions, but I like these for the variety of colors. It’s always helpful for kids to see and hold actual 3D shapes, and while you could certainly invest in a sturdy set to use for all kinds of learning and exploring, you can also print a set and make your own. I think using money is a great way for kids to work out math problems (even if they’re not money-related problems). While I do have a nice set of pretend money, this is not essential, because you can just use real coins that you have lying around the house or print some online and cut them out. I love our set of pattern blocks. My kids love to play, explore and create with them. 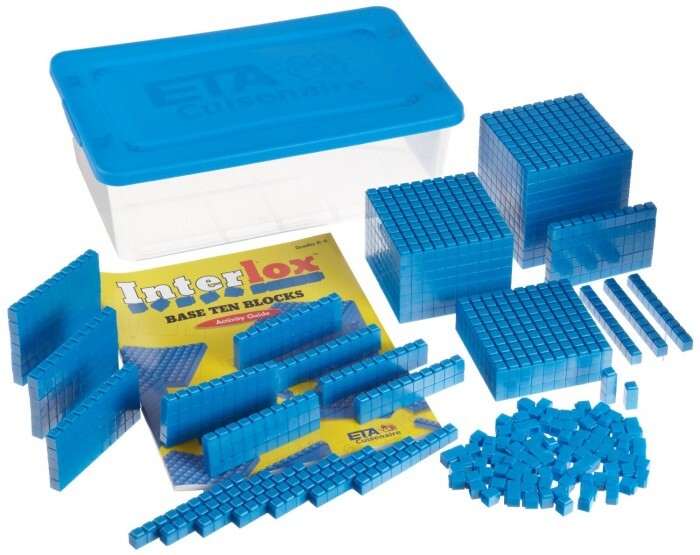 You can learn about shapes, fractions and more, so if you already have everything in the list above, I would recommend a set of pattern blocks . Or use them to complete these hands on logic puzzles. Again, I don’t know that I would classify a geoboard as essential, but we do LOVE ours. My kids like to make patterns and shapes and compare sizes, etc. 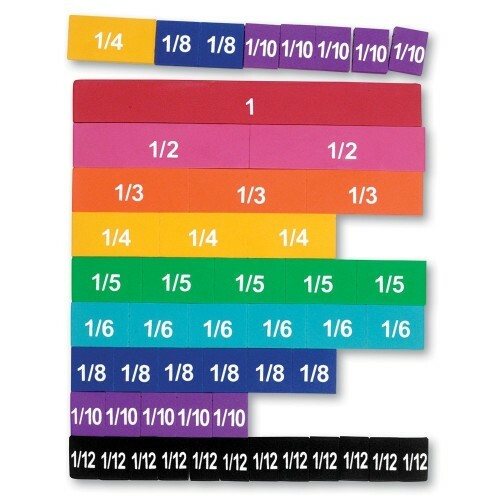 I also have a set of cuisinaire rods, and I like them, but don’t feel like there’s anything that I can teach with these that I couldn’t teach with our base ten blocks. If you love them and feel like they are essential for a particular math topic, I would love to hear your thoughts! Obviously, this is not essential, but as I already mentioned, games make learning so much fun! There are lots of board games for kids that give them practice with math skills, and I love knowing that my kids are still learning, even in their “free time.” Some games that we play right now are Hi Ho! Cherry-O and Monopoly Jr.
What would you add to this list? 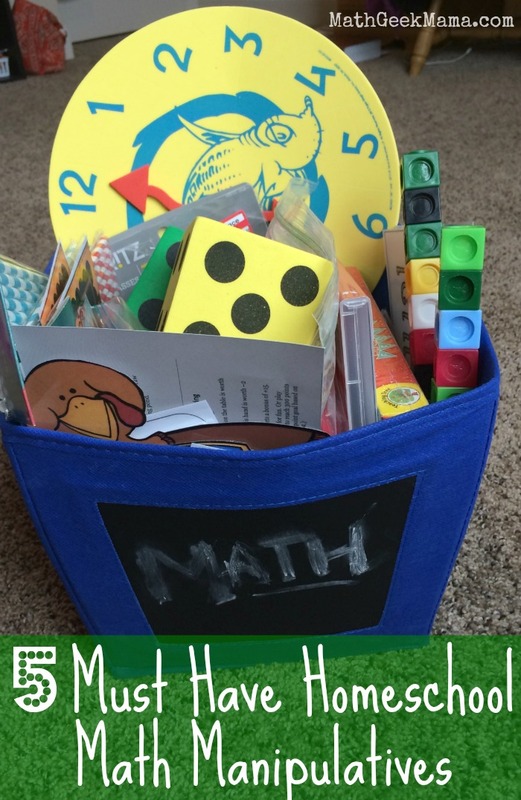 What you see as necessary homeschool math manipulatives that I did not include? Or anything that you absolutely LOVE and use frequently? Share your ideas! 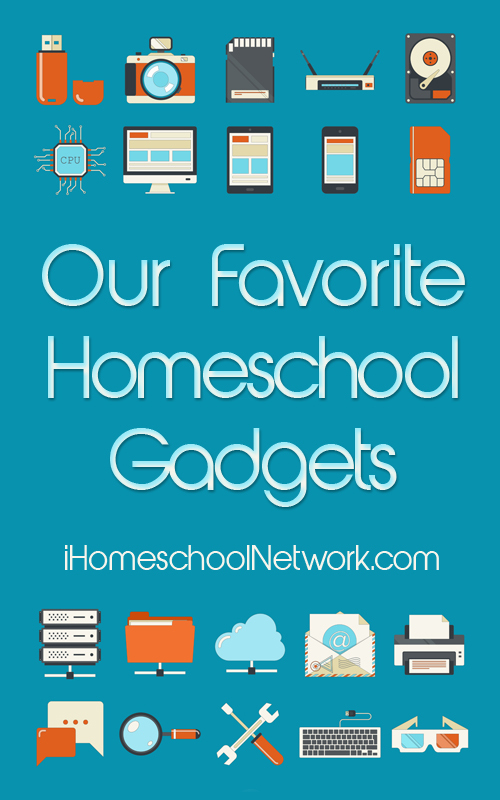 Want to see what fun gadgets and tools other homeschoolers use? Click the image above! I love playing card games with my daughter – she doesn’t even realize that a lot of them are helping her with math facts! Thanks for sharing at the Thoughtful Spot! Oh I know! Although one day I was playing a card game with my daughter and she said, “Mom, can we play this game for school? Because it’s got some super good math!” Haha! I subscribed so that I could get the geometric nets, but I cannot see anywhere to get them. I am wondering why I am not seeing them. You should receive an email with the link to download the file. If not, be sure to check your spam folder. If you still don’t see them it could be that it was blocked by your school’s email server. If that’s the case, just send me an email at mathgeekmama@gmail.com and I’ll help you out.